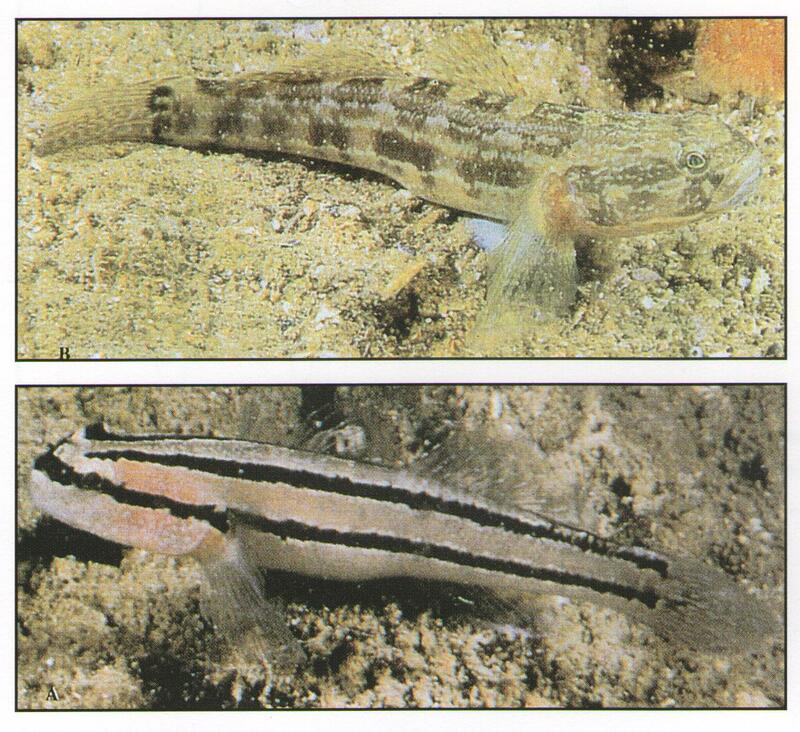 The Japanese Goby is similar to Krefft’s Goby | Marine Life Society of South Australia Inc. I have been helping Catherine McMahon from Port River Shellfish Restoration Project to monitor oysters being kept in baskets in the Port River system. One interesting aspect of the monitoring is the marine life that turns up in the oyster baskets. We have found fish, shells, pygmy squid, nudibranchs, flatworms, shrimps, blue-ringed octopus, etc.. I have been pleased to find a Krefft’s Frillgoby in a basket a couple of times. This stems from the first time that I had heard of them. I had come across another species of fish that was suggested as possibly being a Krefft’s Frillgoby at the time. It turned out to be a Congolli. I found another specimen of Krefft’s Frillgoby in an oyster basket recently. I had the identification of it confirmed via iNaturalist. 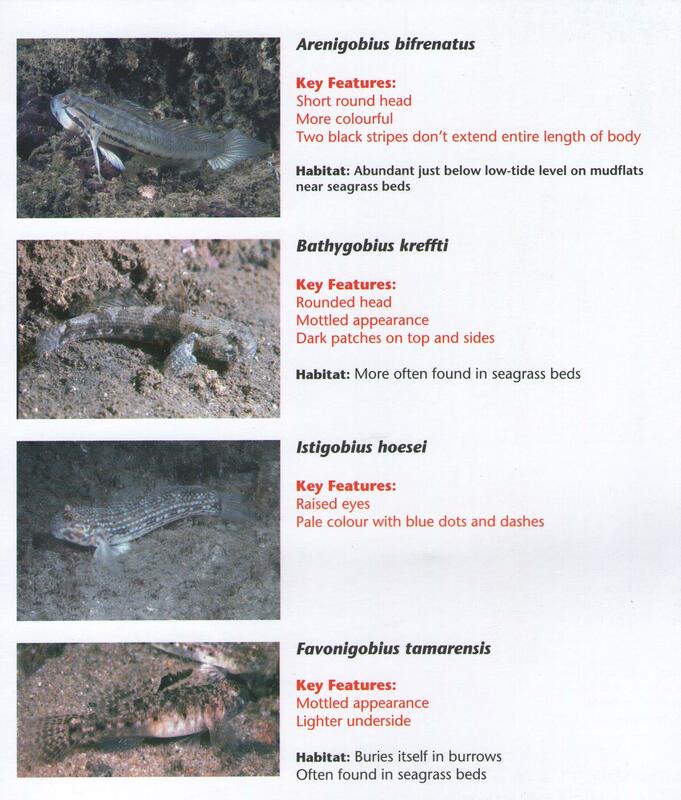 That, in itself, wasn’t overly exciting, but I did get a bit excited when I discovered that the Krefft’s Frillgoby is very similar to an invasive species of Japanese fish that may be introduced into our waters by overseas ships. My two recent Krefft’s Frillgoby discoveries were both at a shipping wharf at Outer Harbor. Glancing through a couple of old “Introduced Marine Pest Guides” I came across references to the Japanese Goby, Tridentiger trigonocephalus. The fish was listed in both a collection of Marine Pest Identification Cards issued by the NSW Department of Primary Industries, and “A Guide to the Introduced Marine Species in Australian Waters” published by the Centre for Research on Introduced Marine Pests (CRIMP). The second fish shown is a Krefft’s Frillgoby. The Japanese Goby is said to compete with native Australian species. We need to be on our guard and keep any eye out for them. I sent an email message to Marine Pest Sectoral Committee – Secretariat mpsc@agriculture.gov.au saying, “We believe that we have been finding specimens of Godiva quadricolor in the Port River at Garden Island. A photo of the most recent sighting is attached. 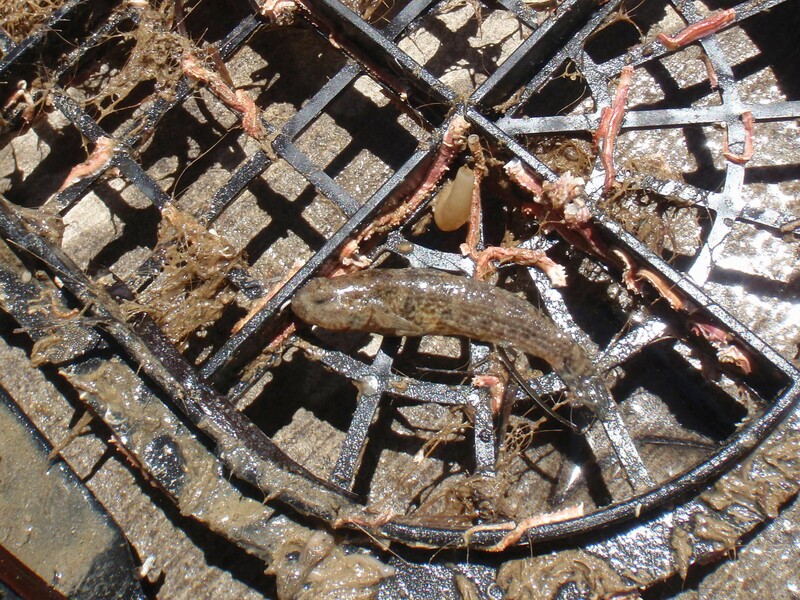 I soon received a response saying, “Hi Steve, thank you for taking the time to report these potential marine pests. We have forwarded the information to the Department of Primary Industries and Regions South Australia, who will conduct an investigation into these reports and may contact you for further details. Hi Steve, just wondering, how did you know who to contact to report it? I reported it to the Federal agency who said that they passed it on to the State agency (I think), but I never heard any more about it at all. Hi I live on the upper reaches of the port river and whilst filming a new fishing invention of mine I have captured some amazing colourful black gobies & including the Japanese Goby as indicated by your picture above. Thought you might be interested. 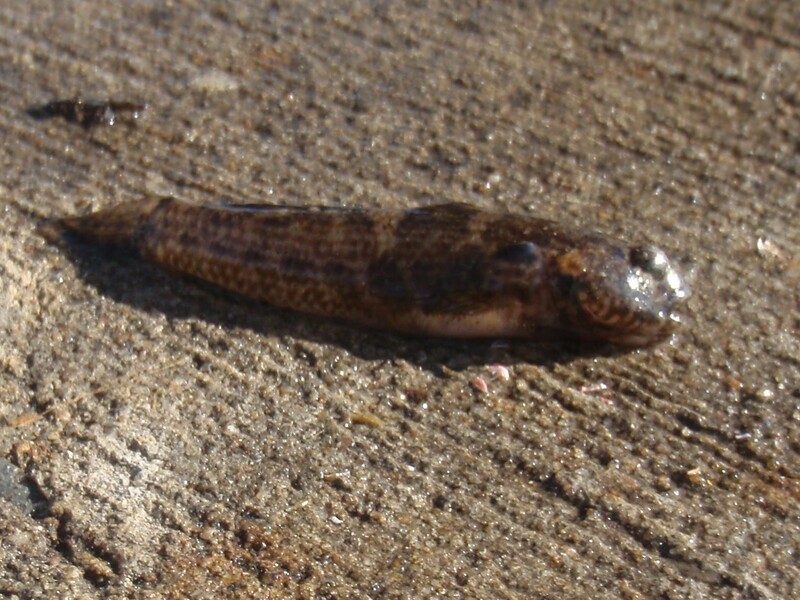 The black gobies are a real pest for recreational fisherman, as they grab bait and take it straight under a rock. Thanks for these details, Peter. We are certainly interested in seeing any photos or film footage of your gobies. https://www.youtube.com/watch?v=vkDLuWzMb7Y . The video shows juvenile bream, oyster blennies and Krefft’s or Japanese gobies. (Peter has a new patent pending invention/online business -see http://www.avoidasnag.com.au .) We are still finding gobies in Port River oyster baskets, but we haven’t been able to take the time to check them out at all.